Data on the mainframe is characterized by all three V’s of big data. Velocity: A typical mainframe will process millions of transactions a day, with peak loads that may run into many thousands of records a second. Variety: Mainframe data, and mainframe log file, are complex data. In many cases, records are self describing and may be of variable length and structure. While the mainframe remains an excellent, low cost option for intensive processing, these complexities and mainframe pricing models make it a poor choice for advanced analytics. 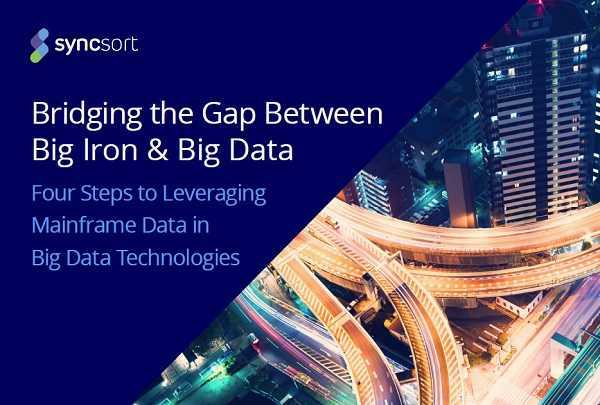 Through our partnership with Syncsort we provide both the deep mainframe subject matter expertise and the technology to move both application and log data from the mainframe into advanced analytics platforms platforms such as Hadoop or Splunk. ← Liberty data breach – setting a precedent for GDPR?